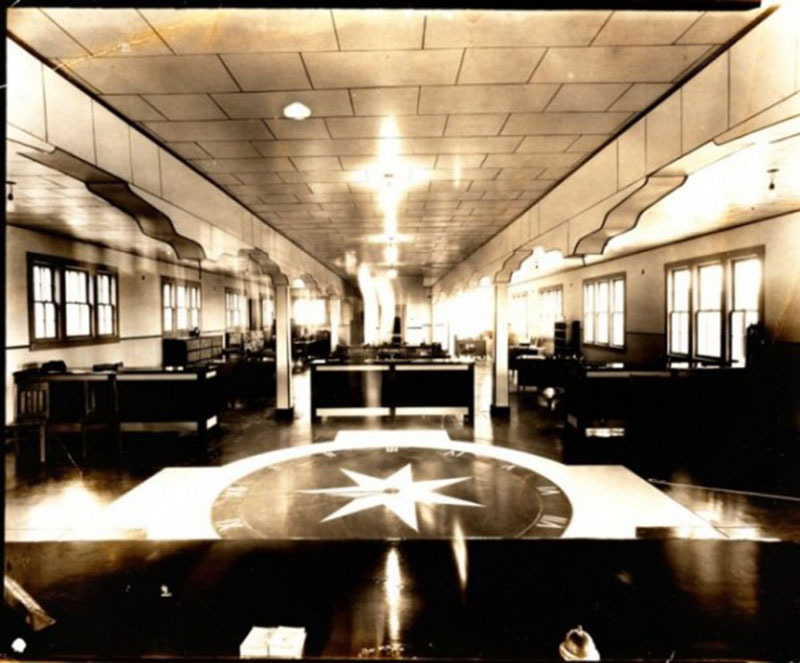 The original Mount Carmel Center was established by Davidian founder Victor T. Houteff in 1935 about two miles outside of the City of Waco. Houteff, a Bulgarian immigrant, left the Bulgarian Orthodox Church and accepted teachings from the Seventh-day Adventist Church in 1918. He began to publish a series of religious tracts called The Shepherd’s Rod, which the Seventh-day Adventist Conference rejected. In response, Houteff established the Davidians in 1929, calling for a reform of life. Houteff gathered a small following in California, and six years after establishing the Davidian Church, Houteff and thirty-seven followers left the state and resettled on a parcel of land near Lake Waco. 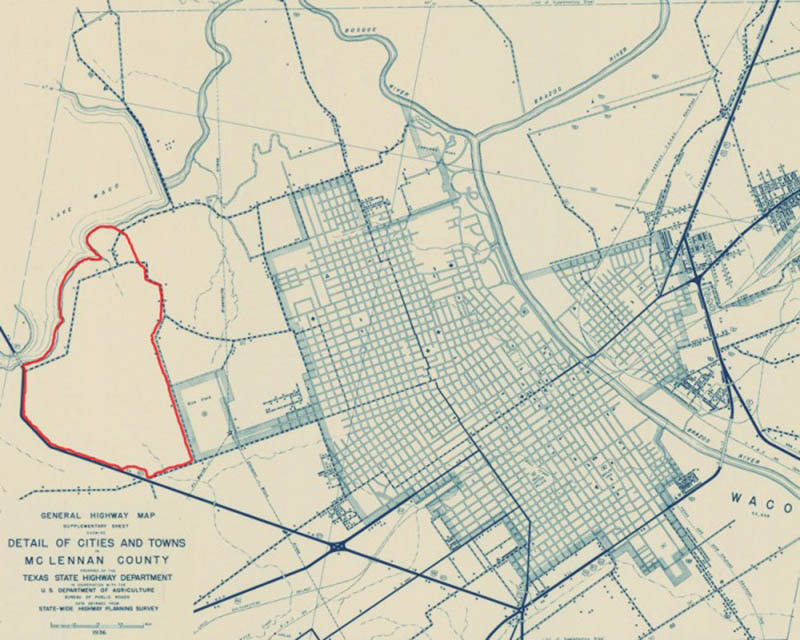 The 189 acres that the Davidians bought contained a river, forest area, and a clearing where houses and farms could be built. The main church and administration building housed Houteff, the administration of the church, and the publishing center so that Houteff could continue to publish new editions of The Shepherd’s Rod. A few other houses served as infirmaries, dispensaries, and living quarters because this community was designed to be self-sustaining. One of the main breaking points with the Adventist Church was that the Davidians believed that contact with the modern world was harmful for those who believed in Jesus’ imminent coming. In order to cope with this, the Davidians established a commune where they could heal their own sick, teach their own children, run their own community, and farm their own crops, selling the surplus to visitors for any cash they needed. 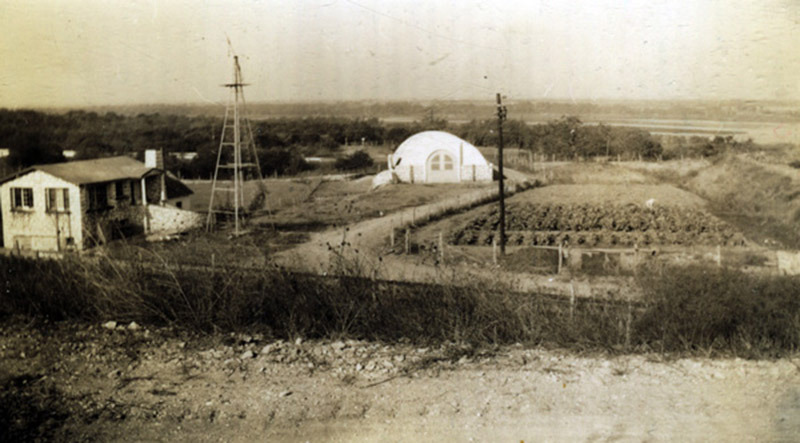 The Davidian Church flourished at Mount Carmel, even thriving during the Great Depression due to the excess farmed crops which they sold at a farmers' market open to the public. They also modernized their commune by constructing water and sewage systems, adding electricity and telephone connections. 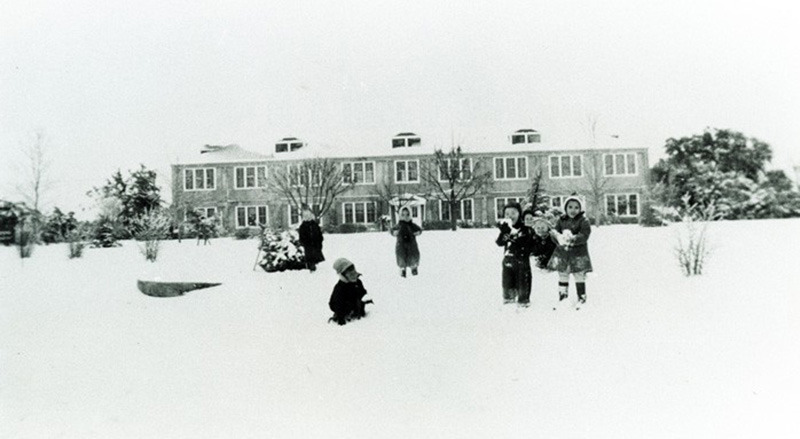 In 1940, the Davidians expanded the compound to 375 acres by buying up property to the west. The population also grew from the original thirty-seven in 1935 to sixty-four residents in 1940. During the 1940s and into the 1950s, internal problems arose within the Davidians. Houteff predicted that the Second Coming of Christ would occur within one year, but that had not happened. It was difficult to recruit new members and keep old members’ faith strong when his prophecy had not been fulfilled. The population in 1950 had increased to about ninety, but it was still at that level in 1955 when Houteff died. Houteff’s death was a problem in itself because he had preached to his parishioners that those who followed the word of The Shepherd’s Rod could not die, but would live eternally in a Davidic Kingdom on Earth. Houteff’s death broke up the church and scattered followers away from Mount Carmel because they no longer had faith in his prophecies. After her husband's death, Florence Houteff decided that the Davidian Church was too close to the city of Waco and needed a rejuvenation, and so she moved the church to the modern location about ten miles east of Waco near Elk, Texas. The seeds of discontent sown at Old Mount Carmel continued, splintering the Davidans into groups such as the Branch Davidians, who would later come to be associated with the infamous Branch Davidian Siege at New Mount Carmel in 1993. While the Branch Davidians have historical roots to the Davidians, the two religious groups are distinct. In 1991, the Davidians repurchased a portion of their original land in order to establish a press to continue spreading Houteff’s message. Today, Vanguard College Preparatory School owns much of the former Mount Carmel acreage. The only remaining building of the Davidian Church headquarters was remodeled in 2011, with the Davidian’s eleventh-hour clock still inlaid in the floor. Waco’s Mt. Carmel Drive runs through the old Mount Carmel area, and Charboneau and Hermanson Drives are named after prominent Davidian families. 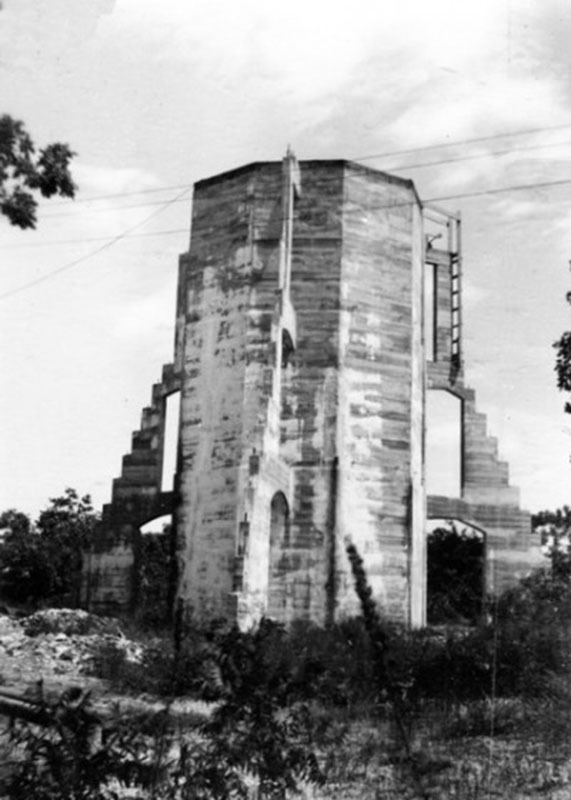 Water Tower: This image depicts the construction of Mount Carmel's main water storage tower. The compound had a special pump that would draw and then filter water from the nearby Lake Meribeth Dam. This system of water storage facilitated agricultural work during prolonged dry periods. 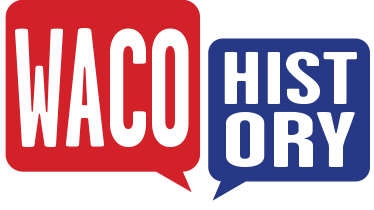 Kyle Baughman, “Mount Carmel Center,” Waco History, accessed April 19, 2019, https://wacohistory.org/items/show/37.